The Hecherhütte - it's always fun! 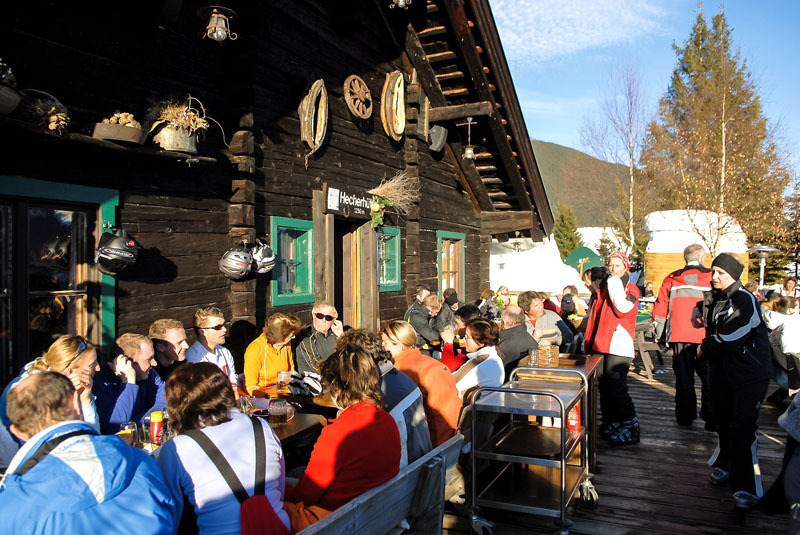 Skiing in Viehhofen right to the door of the Hecherhütte, lively après-ski, great food and sophisticated drinks, attentive service and unforgettable parties - all this awaits you at the Hecherhütte during your winter holiday in Viehhofen! You can also reach us by car - snow chains advisable! Or leave your car in Viehhofen and we’ll call you a taxi. 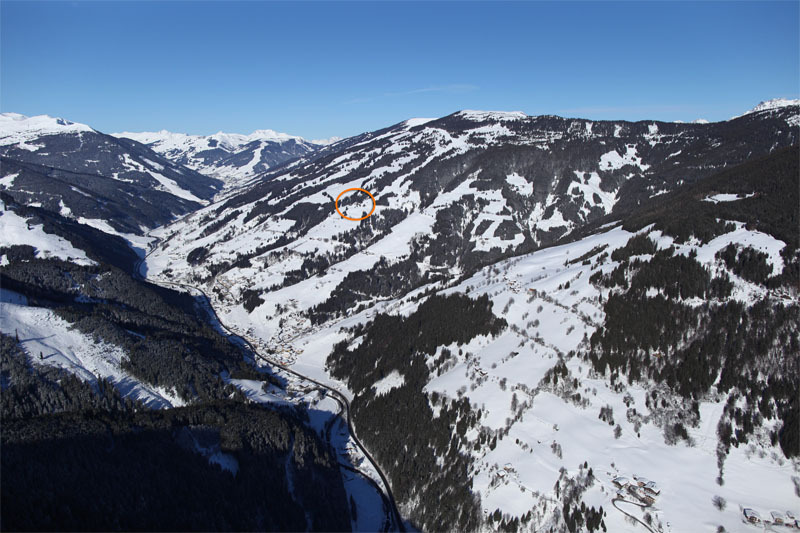 • In good snow conditions the piste is a maximum of 20 metres from our ski cellar. 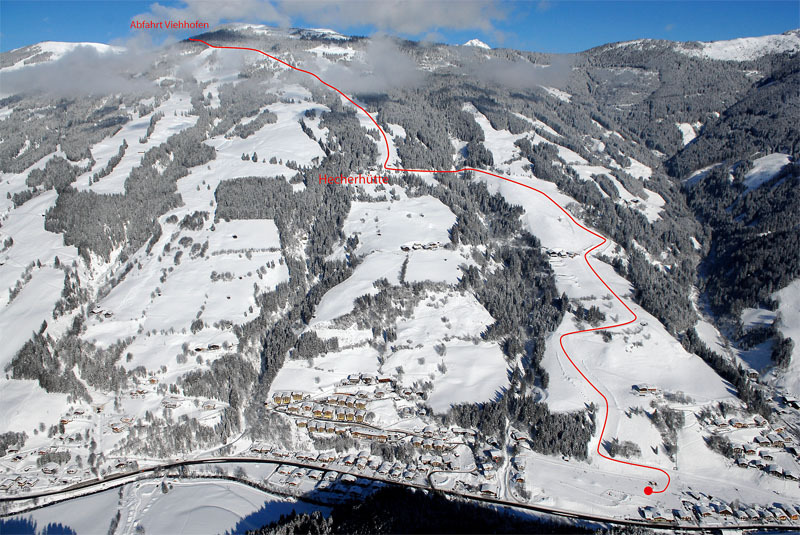 You can ski down to the ski bus stop in Viehhofen, and from there it’s just a 10-minute drive to the Schönleiten lift - your entry to the Saalbach-Hinterglemm-Leogang Fieberbrunn ski area. 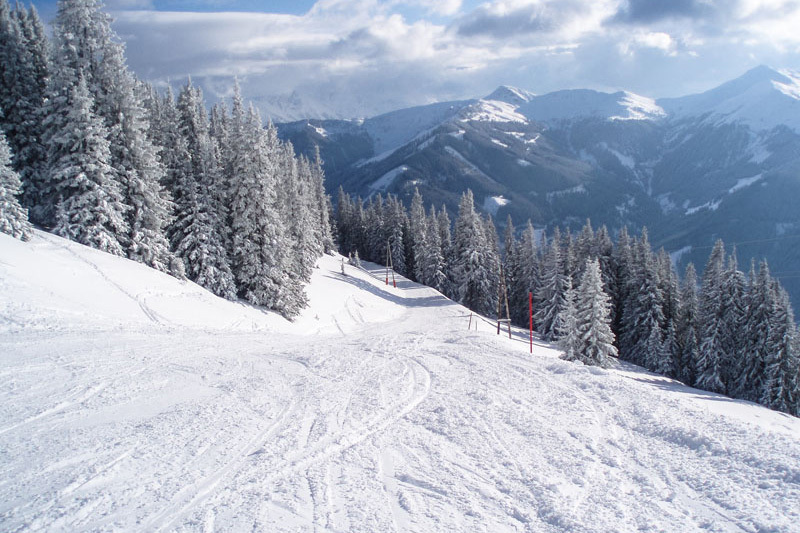 From the Schönleiten lift, head to the Polten lift, and piste no. 68 will take you directly to the Hecherhütte. 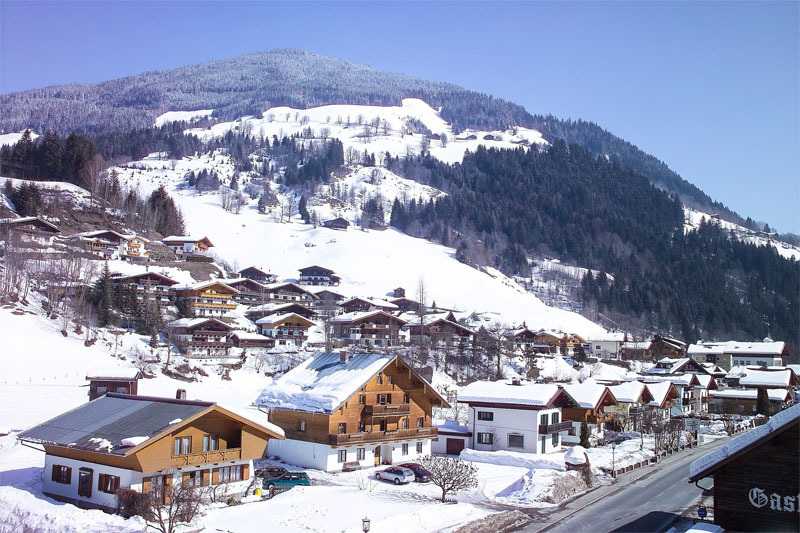 • In poor snow conditions, you will have to take your own car to the ski bus stop in Viehhofen to reach the ski area. When you return, you can pick up your car from where you left it. • If the piste is closed due to snowmaking, you will receive a 10% discount! 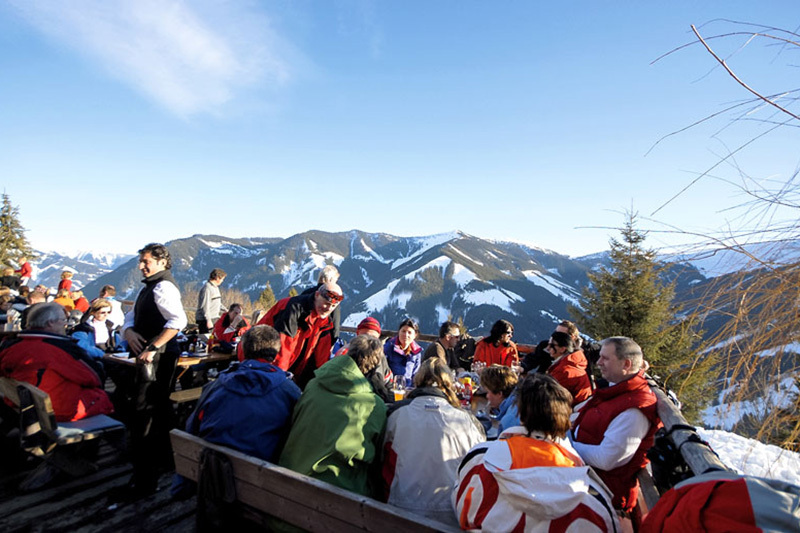 • A return shuttle service can be booked from the Hecherhütte to Viehhofen - € 4 per person and trip.